It has absolutely nothing to do with James Bond’s upcoming Skyfall flick other than a similar sounding name, but Urban Green Energy and GE’s Sanya Skypump is just as exciting for greenies the world over as any perilous caper 007 could wind up in. 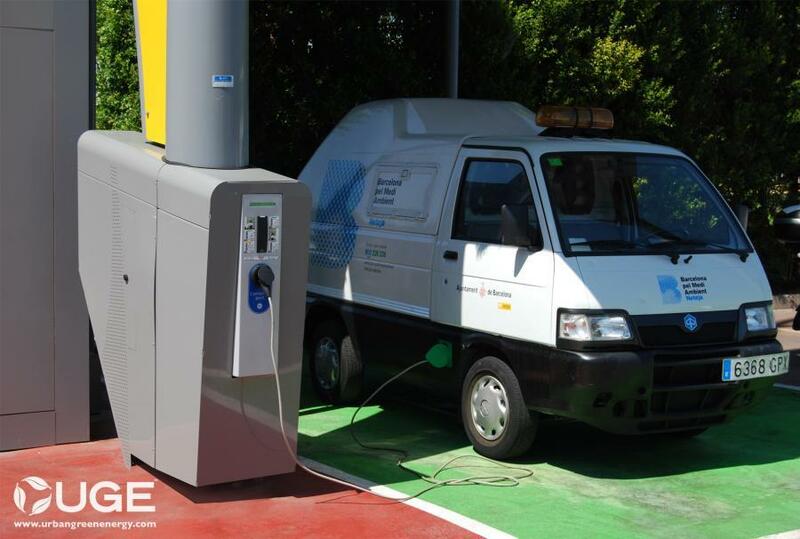 That’s because both companies have unveiled the world’s first integrated wind-powered EV charging station, effectively providing a clean source of electricity for drivers of electric vehicles. One of the criticisms surrounding electric vehicles, on top of limited utility (driving ranges), prohibitive cost, and restricted availability, is the actual environmental friendliness of said vehicles — whether or not they can truly be considered “green” when the majority of electricity worldwide (somewhere in the region of 41 percent) is fueled by coal. The Sanya Skypump seeks to alleviate that concern by pairing UGE’s vertical wind turbine alongside GE’s EV charging technology to give drivers of electric vehicles a completely green way to power their battery-fueled cars. Of course, harnessing the power of the wind is nothing new. 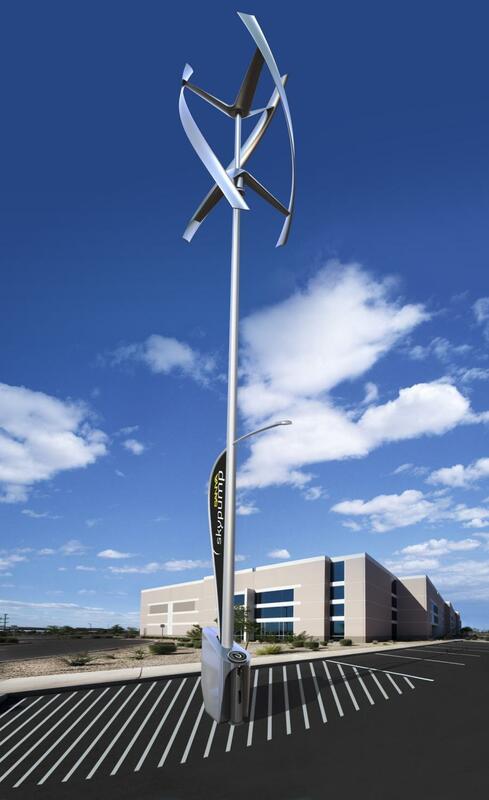 But the Skypump differs by taking the typical wind turbine design and shrinking it down into something that is far more manageable in an urban setting. The Skympump measures in at 42 feet tall and requires a minimum wind speed of seven miles per hour to operate. The energy generated by the wind is sent to a Level 2 GE Durastation located at the base. The inaugural Skypump has been installed by UGE Iberia, the Spanish Branch of New York-based UGE, and is located outside Cespa’s global headquarters near Barcelona. According to GE, Skypump has been developed with the primary purpose of supplying commercial and governmental customers with clean, renewable electricity. But while the only publicly available Skympump currently resides in Spain, GE has indicated it will begin to install more stations later this year in both the U.S. and Australia.